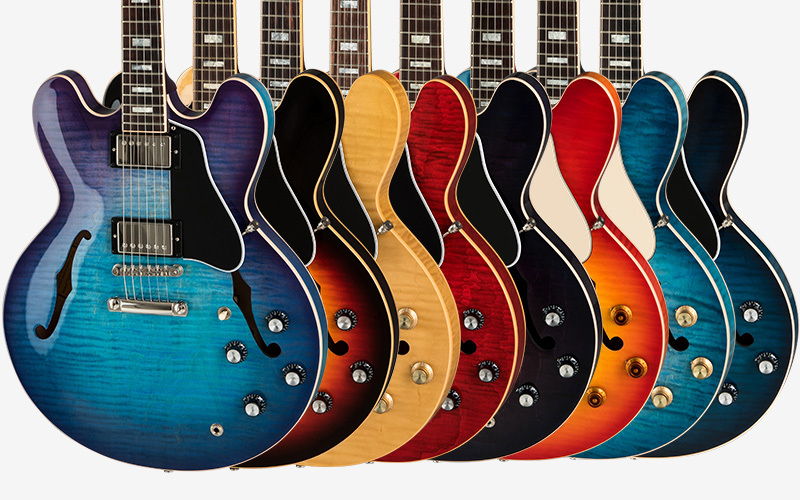 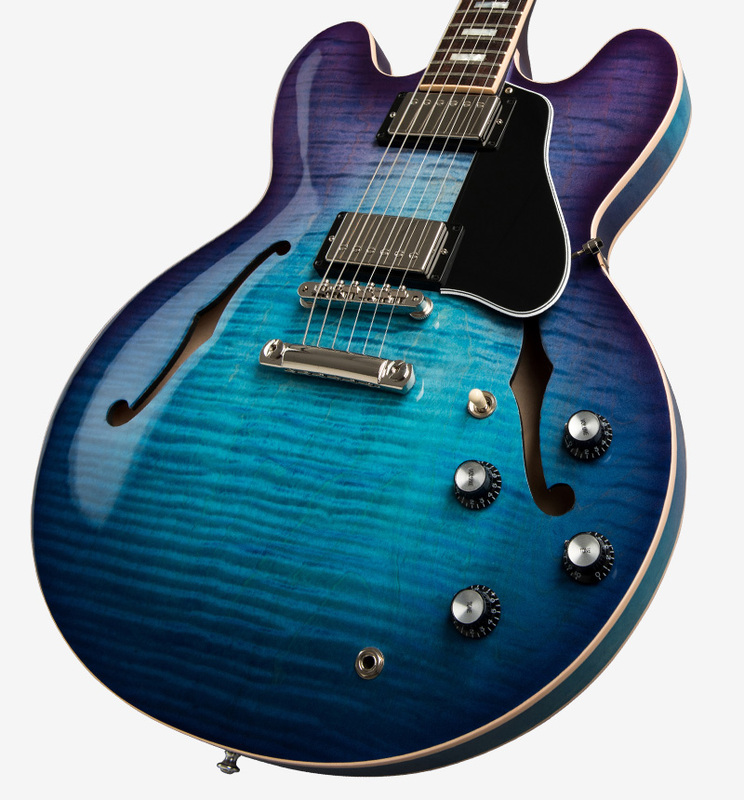 The Gibson ES-335 Figured is the perfect blend of form and function. 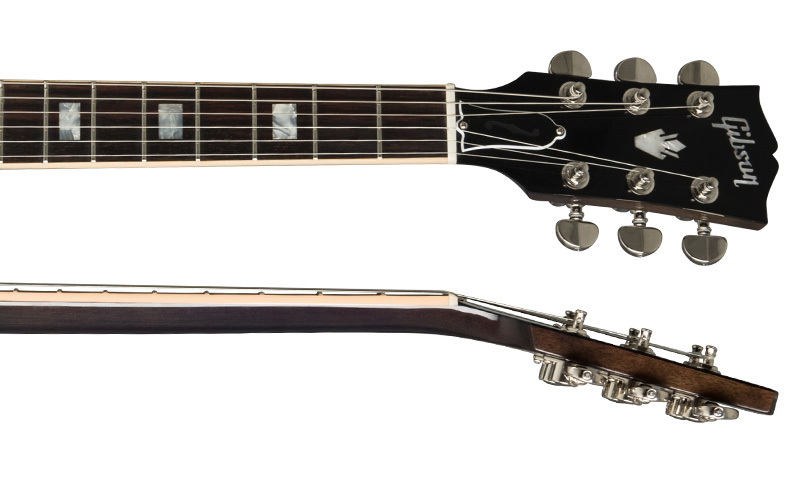 Equipped with a thermally engineered chambered maple centerblock, and thermally engineered quarter-sawn Adirondack spruce bracing, players will be impressed by the lightweight feel and expanded range of tonal capabilities. 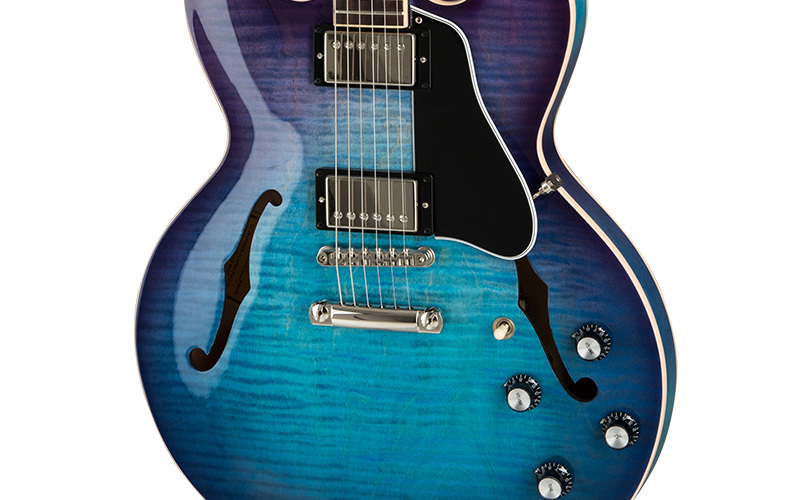 Dressed in high-end appointments like our hand-wired Memphis Tone Circuit Premiere (MTC Premiere) control assembly, the all new Memphis Historic Spec II (MHS II) humbucking pickups, and an ABR-1 bridge with titanium saddles, this just might be the best one yet. 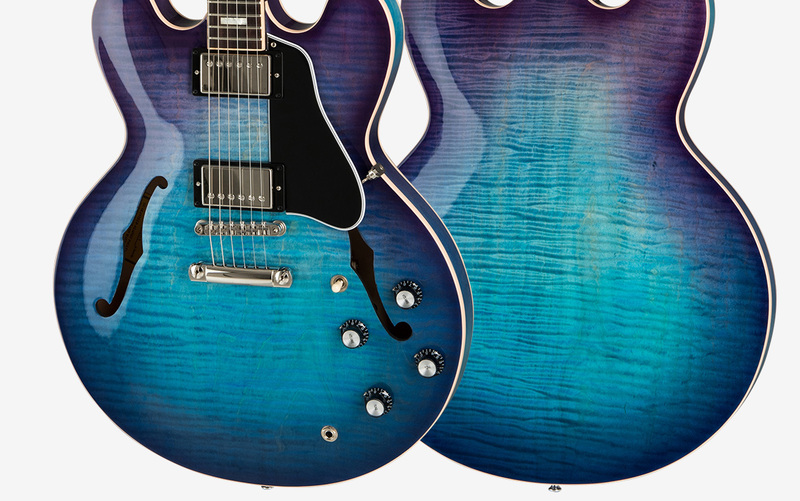 Gorgeous AAA figured maple veneers are available in Blueberry Burst and Sunset Burst.